Let's take a close look at kamon so highly valued by the Japanese since ancient times. Mon are said to have originated in the middle of Heian period in the form of distinctive patterns representing plants, animals, tableware or letters. The role of the patterns was to label one's family's property (clothes, equipment, armor, etc.). Even today, many logo designs of famous foreign brands are inspired by Japanese family crests. After choosing one from 4 varieties of straps, you will decide on the colour of silk cloth and the family crest design. Gold or silver-coloured family crest will be applied with a brush and a stencil. After that, the craftsman will attach a strap to make a key holder from it. 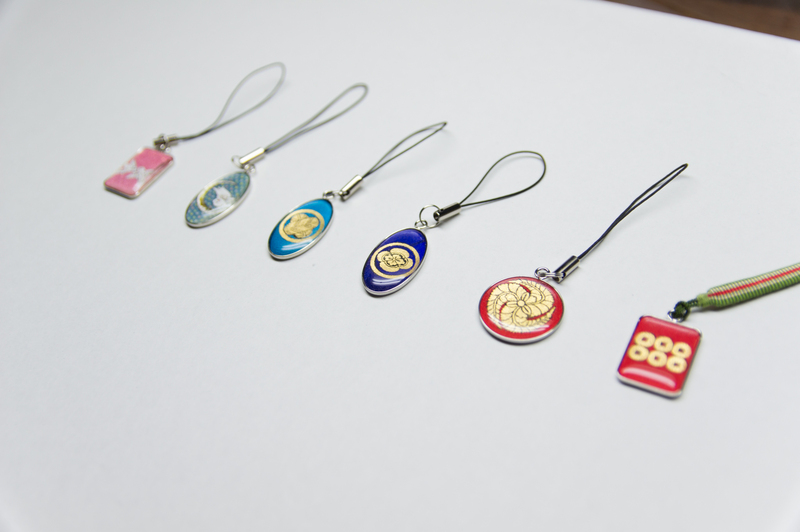 Enjoy creating your own unique souvenir from Kyoto!